Not I, Footfalls, Rockaby. Royal Court Theatre and Lisa Dwan, State Theatre Centre of WA, February 14. Mozart Dances, Mark Morris Dance Group, His Majesty’s Theatre, February 13. THERE were giants inside as well as outside during Perth’s first festival weekend. 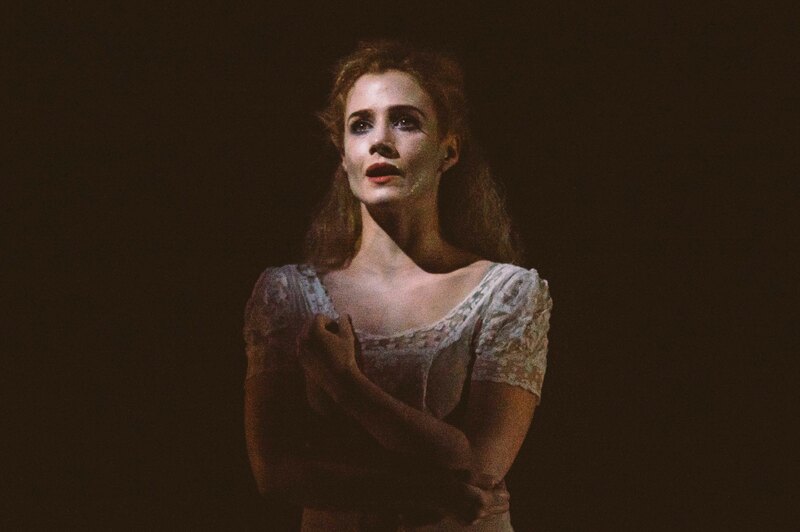 While Mark Morris and Mozart ruled with joie de vivre at His Majesty’s, Lisa Dwan and Beckett shook the soul at the State Theatre Centre’s Studio Underground in three short works of obsidian darkness. It takes less than an hour to experience Not I, Footfalls and Rockaby but their essence is timeless and, for the duration of the performance, time is suspended. All extraneous light is rigorously excluded from the Studio Underground and Dwan is seen but dimly through James Farncombe’s hazy but finely focused lighting. The audience, rendered almost unnaturally still and quiet in the blackness, is however on high alert internally as Dwan embodies terrifying visions of disintegration, loneliness and death. Not I is a tumbling stream of words from which key phrases emerge and are then dragged back into the jumble. Sharp little barks, cackles, growls and gasps punctuate the flow of an old woman’s fractured recollections that keep circling back to something that apparently happened on an April morning to “she”, the younger self. Only the actress’s mouth is visible as the woman remembers many harsh things but finds her voice, in that beautiful use of the word. It means finding the true self. In Footfalls the finding of the voice has been more difficult for a woman attending a dying mother. A rectangle of light imprisons her as she paces up and down – there is room for nine steps only – but at least she can hear her steps on a floor from which she has removed the covering. They confirm her existence. Dwan, her voice low and melodious, also speaks the words of the unseen mother, a woman who seems to have sucked the life from her daughter. Rockaby also heads inexorably towards the void as a woman sits in a rocking chair with only her face and hands visible as she sways in and out of the light. The sense of desolation is immense as the woman describes looking through the window to other windows, always alone despite searching for others like her. Towards the end of the piece one can see only half Dwan’s face, a nightmarish effect. Dwan is directed flawlessly by Walter Asmus, a longtime friend of Beckett. This trio of works and collaborators is a rare gift. The season ends on Friday. MOZART Dances reveals Mark Morris as the great magician of contemporary dance and its foremost optimist. In this seemingly carefree work Morris offers principles of profound beauty, not in a didactic way but with simplicity and grace. In Mozart Dances men and women are equal, each is an individual, there is strength to be gained from one another and there is belief in the power of love and joy. The work is abstract but packed with relationships, the foremost of which is with the score. Morris choreographs to three substantial Mozart piano works, each with three movements – about 90 minutes of music for orchestra and two solo pianists. 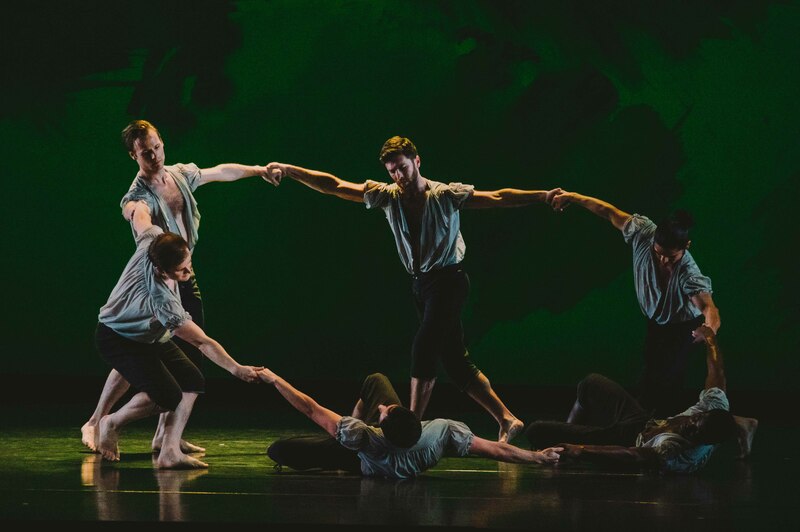 It’s a huge canvas, yet Mozart Dances feels deliciously intimate as Morris sends 16 dancers whirling across the stage in a constant and felicitous flow in answer to the spring and essence of the music. They cover ground as bountifully as gazelles. First up is Eleven, choreographed to Mozart’s relatively little known Piano Concerto No.11, in which Morris concentrates on the women, led by elfin Lauren Grant. There is a short introduction to the men of the company, bare-chested and wearing breeches that hint at the 18th century. After some lively unison dancing they stride off and the women take over, introducing motifs that will recur throughout the work. Eleven is followed by Double for the men to the Sonata in D major for Two Pianos, the composer’s only work in that form. Echoing the structure of Eleven in reverse, Morris brings the women of the company on in the third movement. They are now wearing long floating skirts, reminiscent of those worn in Balanchine’s Serenade (just as Grant’s sudden fall to the ground in Eleven recalls a similar moment in that ballet). There’s a visual link to the diaphanous black the women wear in Eleven, but the atmospherics are completely different. The first costume is bold, the second is romantic. Aaron Loux was the charming and fleet soloist in Double, wearing a frock coat that also nods to the 18th century. It moves beautifully and brings a whiff of gallantry to proceeedings. Again one notices the jaunty comings and goings, the powerful unison work and Morris’s unerring eye for pacing and timing but, above all, the emotional value of a movement and moment. Finally, all 16 dancers, now dressed in white although not identically, come together for the 27th piano concerto (Mozart’s last) to mix, mingle, separate and connect in ways that delight the spirit. While the mood of each dance is distinct, Morris propels each with nimble legs and feet, open-hearted upper bodies and multitudinous cheeky exits and entrances. With dancers as warmly engaged and witty as Morris’s there is every reason to believe that offstage life is just as interesting to them as what awaits onstage. These are not performers who disappear when you can’t see them. Morris seamlessly interweaves steps and shapes from folk, the court, ballet and ordinary life while building a series of motifs that are sprinkled throughout, often with a new or unexpected touch. In Eleven the women at one point gather In a group and look upwards as if there is something mesmerising out of our sight, but not theirs. The men will later have their version of it. The same happens with fingers that are pointed as if to say, “you need to pay extra attention right now”. Often dancers will throw themselves into a generous, wide-armed whirl that feels less like a choreographed move than a spontaneous outburst of ecstasy. The much-repeated action of falling has different qualities but always ends in recovery and re-entry into the group, nowhere more potently expressed than in the glorious slow movement of Double. It is central to Mozart Dances in position (it is the fifth of the nine movements played) and content and has the most sombre tones. Even so, there are gleams of light as the fallen and isolated are gathered up. Darkness is then quickly banished in the final dance, Twenty-Seven, and Mozart Dances ends on a highly playful note with all the men and women, dressed in fresh, non-identical white, getting on like a house on fire. 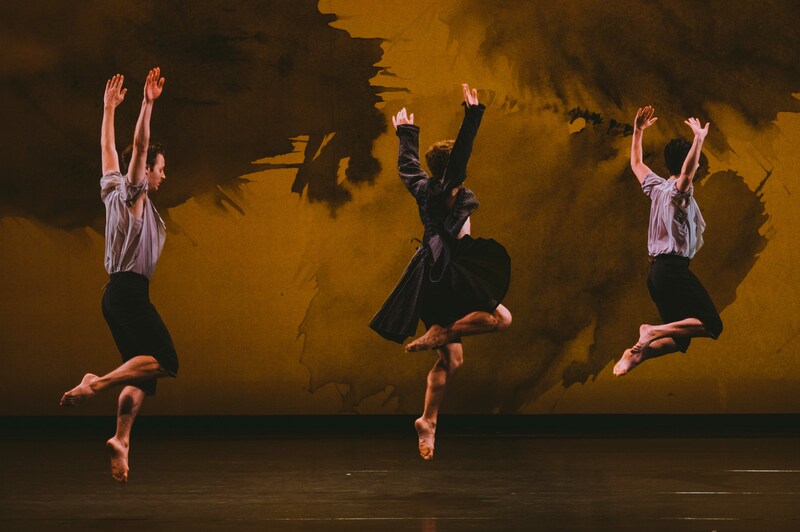 For its brief Perth engagement Mark Morris Dance Group was vividly accompanied by the West Australian Symphony Orchestra and Melbourne pianist Amir Farid, conducted by MMDG music director Colin Fowler. Fowler joined Farid for the sonata, a tremendous musical highlight. I am sorry Mozart Dances won’t be on the program when MMDG comes to Sydney in June as it can be seen again and again with pleasure. But an orchestra has to be available, and a second pianist, which is undoubtedly the barrier. So Sydney will get a smaller-scale program of four works – A Wooden Tree, Festival Dance, Pacific and Whelm – accompanied by the MMDG Music Ensemble.